Or maybe an anytime treat! With just 4 ingredients and about 20 minutes, you can prepare these homemade candies for your favorite Valentine. These are so easy and fabulous! 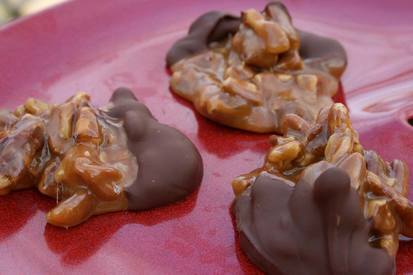 Be sure to butter the pans good to prevent sticking and use wax paper after the candy has been dipped in chocolate. They disappeared in a matter of minutes at my house so I hope you will love them too!